The 14th Durham Blackboard Users Conference took place on Thursday and Friday, 9th & 10th January 2014 located again in the Calman Learning Centre at Durham University and in Durham Castle. Optional workshops were offered on Wednesday, 8th January 2014. The theme was the “Life of i” …. We’re took liberties with the title of a well-known novel and rather expensive devices designed in California but made in China, to look at personal and personalised lifelong learning, supported through technology. To what extent does technology emancipate students, freeing them to make their own learning decisions? How can we effectively support students harnessing personal technologies to promote life-long personal learning? To what extent can and should institutions facilitate personalisation of the learning experience? In providing digital solutions for the personal are we creating an isolating experience for the private? Personalised learning en mass: Rhetoric or Reality? MOOC pedagogy: can you personalise mass education? Our first Keynote is Professor Patrick Carmichael who is Professor of Education at the University of Bedfordshire. Between 2005-2009 he was Head of Research and Evaluation at the Centre for Applied Research in Educational Technologies (CARET) in Cambridge before taking up a Chair in Education at Liverpool John Moores University. 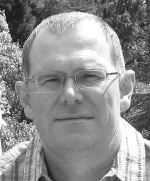 He has directed a range of research projects concerned with virtual learning environments; academic applications of social networking software; and most recently the educational applications of semantic web technologies (Ensemble: http://www.ensemble.ac.uk). His keynote ”tentative” title was “Presence, Personalisation and Pedagogy – Using Digital Video in Online Environments“. The second Keynote is Dr Robin Goodfellow, who is a senior lecturer in Teaching with New Technology at the Open University’s Institute of Educational Technology. He has researched and published in the field of literacies and technologies in Higher Education since 1996. 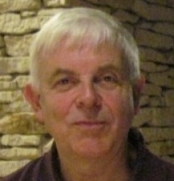 His co-authored and co-edited publications include ‘Challenging E-Learning in the University – a literacies perspective’ (McGraw Hill/Open University Press 2007), ‘Learning Cultures in Online Education’ (Continuum 2007), and ‘Literacy in the Digital University – critical perspectives on learning, scholarship and technology’ (Routledge 2013). He has been course director and author on a number of OU online Masters courses in distance education, and is currently working on developing learning analytics with the Faculty of Health and Social Care. Jim Hermens is the VP of Industry Management within Blackboard’s Industry and Product Management organization, leading the direction of future solutions informed by industry needs across the world. Prior to this, Jim was the General Manager of Blackboard Analytics after having served as SVP of Learn Product Management. 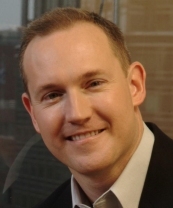 Jim has also served as SVP of Blackboard Global Services, and the General Manager, Transact, giving him over 9 years’ experience of leading strategic developments for Blackboard. Jim’s previous roles include VP of Product Management and Services at Spectrum K12 School Solutions, a leading provider of management solutions for special populations in K-12 education; as a Managing Director with Hollinger Digital, the venture capital arm of the Daily Telegraph corporate family, and the VP Operations at Laureate International Education. Jim holds a bachelor’s degree with honors from Princeton University and an MBA from the University of Virginia’s Darden School. An Air Force and Desert Storm war veteran, Jim served as a White House military social aide for Presidents Bush (41) and Clinton. and also to our 2014 sponsors who help to keep Registration costs so low! Deeper Understanding as the Key to Deepening Digital Literacy? Working with the Enemy? Can we Lock Down Flexibility ? ePortfolios, Digital Literacies and Data – what I took from #durbbu 2014.